Disclosure: Creston Books gave me a copy of this book free of charge to review. All opinions in my review are my own and I did not receive any other compensation. As in all my reviews I am providing links for your ease, but receive no compensation. I always get so excited to see a picture book about a mathematician and especially about a female mathematician!! I love introducing Hazel to various mathematicians and find the picture books are the best way except there are not many picture books about mathematicians out there. 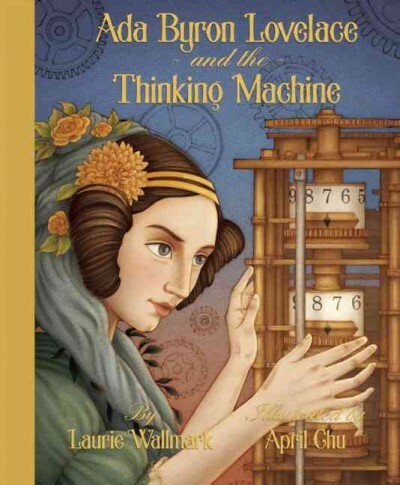 When I saw Ada Byron Lovelace and the Thinking Machine by Laurie Wallmark and illustrated by April Chu I knew I had to check it out. It did not disappoint me!! Ada Byron Lovelace is Lord Byron's daughter. However Lady Byron packed Ada up as a baby and moved to her parents' house due to the scandals involving Lord Byron. Ada did not see him after that. 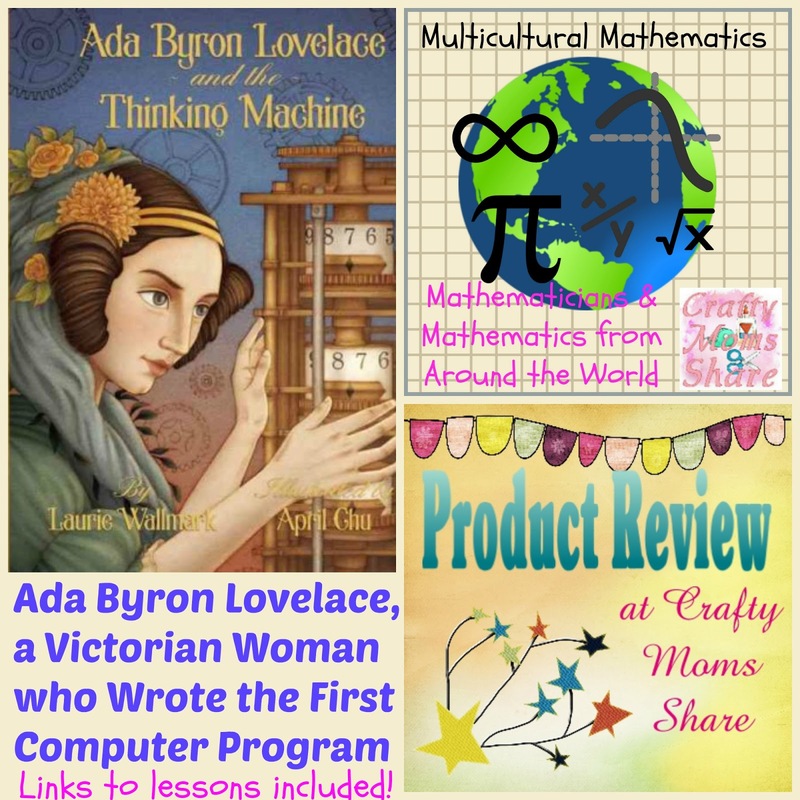 Similar to Lady Byron who was known as the Princess of Parallelograms, Ada loved numbers. Ada loved to invent new machines and wanted to invent a flying machine. Ada caught the measles which left her temporarily blind and paralyzed. During this time her mother would quiz her with mathematics problems to keep her mind fresh and spirits up. It took three years for Ada to be able to walk without crutches after the measles. Ada's mother recognized Ada's passion and wanted her to learn math even farther than she had. She hired tutors for Ada including Mary Fairfax Somerville. Mary Fairfax Somerville was another Victorian woman proving women could do things they were not suppose to be doing in that time. When Ada was seventeen she invited Ada and her mother to a party where many scientists and mathematicians also attended. It was at this party that Ada met Charles Babbage. Charles Babbage was impressed with Ada's ability and invited her to visit his laboratory. They became friends and helped one another with problems. Charles Babbage was working on his Difference Engine and Ada could not wait to see it work. Babbage shared with Ada a more powerful mechanical computer he had invented but he could not build it. Ada created an algorithm for the Analytical Engine which is really the first computer program ever written. 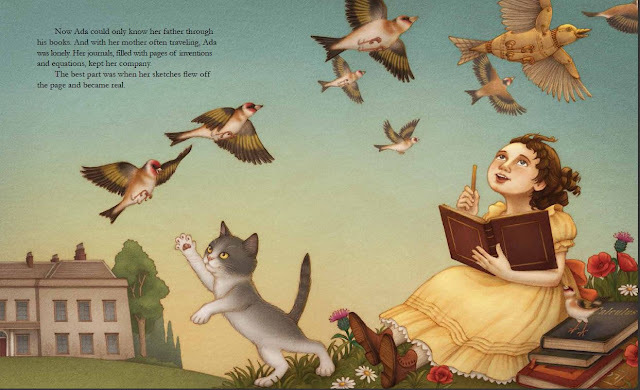 This book is a wonderful tribute to Ada Byron Lovelace and her life. The pictures are beautiful as well. The story shares Ada's life in a way that a younger child can understand without having to know the math or how Ada's mind thought. I feel it is important for all children to understand where our math comes from. Traditional mathematics teaches about a few of the Greek mathematicians from ancient times and then a few of the white European males. There are many aspects of mathematics that were discovered independently throughout the world at the same time or with no knowledge of other groups. It is important for children to have positive role models. It is why I think it is so important for us to teach our children about multicultural mathematics. As a female who has been the only girl in a class, I know the importance of having knowledge of the women before you and I love that this book is written for the younger learners to see that girls can do mathematics even when the world doesn't think they should. To begin a logic lesson one must understand a conditional statement or an if-then statement. There is an almost 12-minute lesson on Youtube that covers conditional statements as well as biconditional statements. It illustrates them rather well. This Geometry Lesson Page does a good job taking it a step further with some of the other definitions such as the converse, inverse and contrapositive of a conditional statement. They also have several lessons and then a practice page. Let's Practice Geometry has some free worksheets if you scroll down to the Logic Worksheets that offer practice with the various laws of logic. Math Worksheets Land also offers worksheets on the various conditional statements as well as truth tables which is another part of the logic lessons. 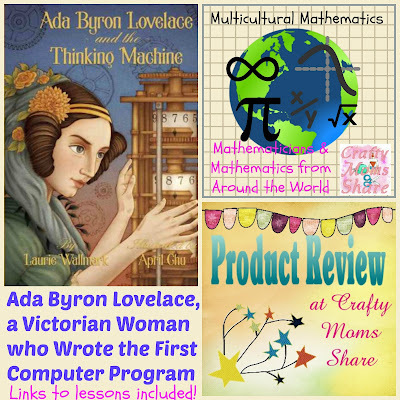 I hope you have enjoyed learning a bit about Ada Byron Lovelace and I hope you will go check out this great book and share it with some young learners so all can have Ada as a role model.